Your credit score may seem like it’s based on a mysterious formula calculated using factors that are impossible to understand. But if you’ve ever felt confused by the numbers that appear on your credit report, you’re not alone. According to a recent survey, most Americans don’t understand the effect that common actions have on their credit score. Here’s the good news — credit reporting is actually highly regulated. Thanks to the 1970 Fair Credit Reporting Act (FCRA), credit bureaus and lenders must adhere to a strict set of rules when they report or use consumer credit information. But lately, there’s been talk of utilizing “digital footprints” in credit scoring and lending decisions, and the FCRA might not regulate that information. Here’s what you need to know about your digital footprint and how it may or may not lead to discrimination. “The growth of the internet leaves a trace of simple, easily accessible information about almost every individual worldwide – a trace that we label “digital footprint.” Even without writing text about oneself, uploading financial information, or providing friendship or social network data, the simple act of accessing or registering on a webpage leaves valuable information,” the FDIC reports. Basically, if you sign up for a website, have an email address, or spend any time online–particularly if you’re active in posting on social media accounts–you have a digital footprint. You’ve left a data trail for anyone who has access to follow. What does this digital footprint mean in the financial world? “A digital footprint is information that a financial institution could collect about how you are interacting with the institution as part of the application process. For example, the email you use and the type of device you have or the website you came from. Some of these things are predictive about how likely you are to be a responsible borrower,” Christopher J. Willis, Practice Group Leader for Ballard Spahr Consumer Financial Services Litigation, explains in an exclusive interview. 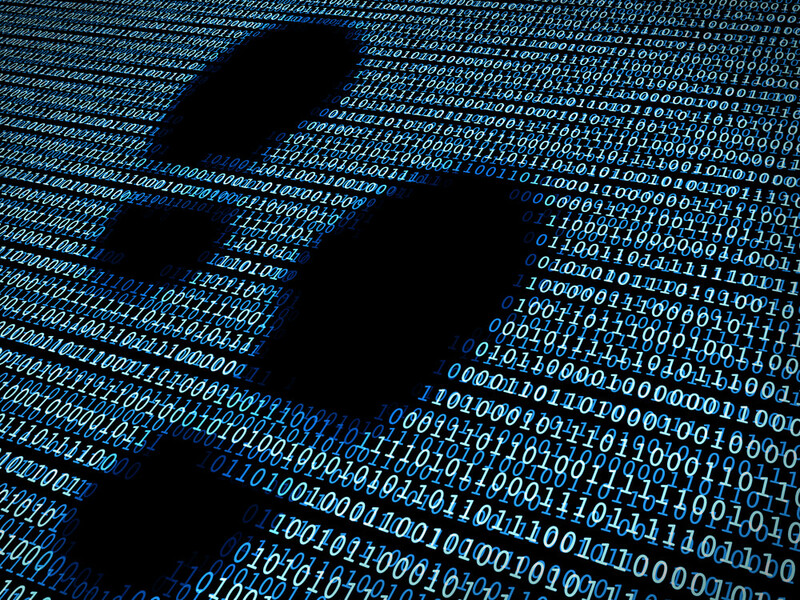 When it comes to responsibility with credit, your digital footprint could be quite telling. For example, according to a recent study by the FDIC, customers who have their name in their email are 30% less likely to default on their loans. While this information might seem random, lenders could use it to help make lending decisions. And as Willis explains, certain digital footprint information is internally collected by companies. This means that they are not buying data from a third-party and as a result, the information is not subject to the Fair Credit Reporting Act. Some consumer advocates question whether digital footprints could be used to discriminate based on race. But that’s not because credit scores are inherently racist. Instead, credit scores are a symptom of the larger societal issue of racial inequality. Thanks to the United States’ long history of predatory lending, risky financial products targeted at communities of color and banks that refused to lend to people of color, credit scores directly reflect America’s history of racial discrimination and lack of equal credit opportunity. Can digital footprints be used to discriminate? Right now, it’s too early to tell how (or even if) financial companies will use digital footprints to make lending decisions, but it’s important to consider the possibility. Especially since, when FICO rolls out new credit scoring systems, it’s up to the individual lenders to determine if and when it will upgrade to the latest version. While some lenders make the switch quickly, others are slower to adapt to the new models. “To my knowledge, it’s not currently used in the United States. If financial institutions decided to do this, they would do it internally and they would come up with their own empirical data. But if they do that, they wouldn’t broadcast it to the public because then people could game the system,” Willis explains. The flip side is, when it comes to digital footprints, there’s some good news too. While they could be used to further discriminate in lending, they could also be used to help level the financial playing field. In fact, some financial institutions have interest in the data because it might be able to help them lend to people with little or no credit history, which are often people who have been negatively affected by discriminatory practices in the past. “The idea is that if [lenders] can use other data that isn’t dependent on their credit score, [they] might be able to get other information about the applicants that can enable them to lend to them. Normally, when I encounter [companies] using alternative data, it’s in order to expand the type of consumers they can lend to. That doesn’t mean everyone will use it that way, but that’s what I encountered in the real world,” says Willis. Even though it’s impossible to know how credit reporting agencies and lenders might use digital footprints in the future, it’s always a good idea to try to improve your credit score or build your credit. After all, in a society full of laws and decisions you can’t control, it’s often helpful to focus on parts of your money you can control. Taylor Milam is a personal finance writer who has also written for Credit Karma, Chime, Acorns, and Policy Genius, among others.